Faculty and students within the School are actively involved in a number of collaborative research efforts that have been formed within the University of Nebraska system. These collaborations, some of which are listed below, pool the research skills and expertise of the School’s faculty with those from faculty members in other academic units. The product is innovative research projects that are designed to answer important questions and provide opportunities for our students. Assistant Professor Joseph Schwartz and Professor Benjamin Steiner are faculty affiliates with the Center for Brain, Biology, and Behavior (CB3) located on the Lincoln campus of the University of Nebraska. Schwartz and Steiner are collaborating with several graduate students and faculty members from CB3 to form an interdisciplinary research team focused on examining the biological and psychological consequences of experiencing stressful experiences related to various aspects of the criminal justice system including incarceration, restrictive housing, and critical incidents experienced by law enforcement officers. This work employs salivary-based biomarkers to examine long-term trends in physical and mental health along with behavioral changes after being exposed to various environmental stressors. SCCJ faculty and several students are collaborating with faculty affiliates with The Center for Collaboration Science that is located within Mammel Hall on the Omaha campus of the University of Nebraska system. Among other topics, the interdisciplinary research team is assessing the intersection between cyber sophistication and violent ideological groups (e.g., ISIS, The Earth Liberation Front). In addition, students working with Collaboration Science faculty have access to cutting edge neurophysiological instrumentation in the Koraleski Commerce and Applied Behavior Lab to study topics such as online radicalization, leadership influence, and biases. Anne Hobbs, J.D., Ph.D, director of the Juvenile Justice Institute, is collaborating with the Nebraska Crime Commission on community planning in rural areas. Hobbs trains community leaders on how to effectively leverage resources to maximize services provided to youth. The Juvenile Justice Institute also hosts workshops and summits in rural communities, through the Evidence-based Academy. The efforts are supported by Nebraska’s Community-based Aid Fund. 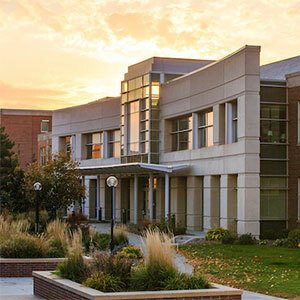 The School also houses the Nebraska Center for Justice Research. The multidisciplinary center is directed by Ryan Spohn, Ph.D., and has affiliated faculty from each of the University of Nebraska’s four campuses. The goals of the Center are to develop and sustain research capacity internal to the State of Nebraska, assist the Legislature in research, evaluation, and policymaking to reduce recidivism, promote the use of evidence-based practices in corrections, and improve public safety.